Ah, multicultural education. It wasn’t always this way! Once, people were educated monoculturally. We sort of still are. But let me explain. When did it ALL BEGIN? Was it the Hammurabi Code? The Magna Carta? There are those who say the concept of multicultural education took hold in the U.S. after the 1954 Brown v. Board of Education case struck down the 1896 Plessy v. Ferguson decision which allowed for “separate and equal” segregated schooling. Subsequent desegregation of schools led the way for the 1960s Civil Rights movement which spearheaded contemporary multicultural education when obviously discriminatory, racist practices in educational institutions were challenged by activists of color. This was followed by the 1970s feminist movement against misogynistic invalidation and erasure of women. Up next was the Gay Liberation movement which launched into the LGBT rights movement, followed by movements by people with disabilities and other marginalized groups fighting for basic recognition and respect. As part of President Johnson’s War on Poverty (1964), programs such as Head Start were created to provide preschool education to disadvantaged children, and in 1968, the Bilingual Education Act recognized the needs of non-English speakers. Throughout the 60s and 70s slight emendations were made to educational programs and curricula to include information to validate previously maligned or ignored groups of people. However, these additions often existed as side notes, in separate subsidiary categories or in tokenizing instances of a single remarkable Other cropping up amongst the larger swath of normal (white, straight, middle-class male) Americans. In the 80s, more noticeably multiculturalist approaches emerged. Theorists like James Banks operated from the concept of “educational equality.” His Dimensions of Multicultural Education charted these five dimensions of a good multicultural education: (1) content integration; (2) the knowledge construction process; (3) prejudice reduction; (4) an equity pedagogy; and (5) an empowering school culture and social structure. As population demographics continued to change throughout the 80s and 90s, education changed not merely as a reflection of growing diversity but of obvious inequalities between population groups. Soon after, an ideological shift took place. ‘Multicultural education’ morphed from looking like the inclusion of previously excluded or maligned people to deeper, structural change in how educators talked about diversity. Instead of one ‘normal’ group or just a selection of ethnic groups, diversity started to look like multifarious, complex and overlapping groups relating to class, sexuality, gender, language, ability, etc. As ‘multicultural education’ became institutionalized in scholastic settings, definitions shifted and a greater emphasis was placed on cultural pluralism. Whereas historically, representations of marginalized groups painted such groups as inferior while simultaneously and causally depriving those groups of education required to change the educational systems, now there were emerging histories of American lesbianism, previously unmentionable human rights violations and documentation of racial control from slavery to the prison system, etc. Dissuade students and fellow educators from favoring single, uniform stories of what “America” is (white/male/middle class) as well as what “multiculturalism” is (always a good thing/always problematic). I’d add one more bullet point, although it is somewhat implicit in your third point “Dissuade students and fellow educators from favoring single, uniform stories of what “America” is.” What I would add is persuade educators, as much as possible, to weave multiculturalism into the “regular” curriculum. I do believe there is still a place for Women’s Studies departments and Black History month and classes devoted to minorities of all kinds. But if that is the only place where students encounter multiculturalism, they will never get over the idea that the white male upper class history is the “real” history and this “other stuff” is something we add on the side to be better people. So we need to talk about Marie Curie and Rosalind Franklin as we teach science. We need to cover the contributions of African Americans during the Civil War to counteract the idea that they were just passive slaves while white men fought for their freedom. And we need to engage with the sexuality of people throughout history so that we don’t unwittingly suggest that everyone is heterosexual, vanilla and monogamous. Totally agree. Within the context of the imperfect world in which we currently live, I think integrating the “Other” (including separate womens/queer/black/ethnic, radical farming, etc. classes) as well as “Otherizing” the “regular” curriculum are all good ways to go about stuff. I definitely agree, particularly with your last paragraph. I attended an all-women’s college for undergrad, and professors there wove stories of women in history into the curriculum in all classes/departments. It was the first time I had heard of many key female figures in history and science, despite their importance in the field. I’m very glad to have had the opportunity to learn about those individuals, but I should not have had to wait until college for that information. When it comes to multiculturalism, I always feel stuck between a rock and hard place. One side of my brain exclaims, “Yes, people should learn about what it means to be an American because woo hoo it’s amazing to have these freedoms,” while the other part says something along the lines of, “Well, what about their own culture and the culture of being a ________ (Asian, Jewish etc) person. Where is the line where integration and assimilation are okay, and then where do we ask students to rescind part of that to a closed box where it’s made to be not as important as the primary culture? But what if that’s against one’s beliefs? What if it’s wrong to instill empowerment to someone who has been taught that it’s not their place to act against those who attempt to oppress them? I also wonder about how one delicately creates an inclusive environment, without pigeon-holing, or isolating. We speak a lot about being inclusive of all sexual/racial/ethnic minorities but without asking them/outing them, how do we find out this information? How DO we include everyone? I must say you did an excellent and thorough job of the history of multiculturalism. Everyone has great points here, but there are some (and I mentioned this in another comment section of someone else’s post) inherent problems with multiculturalism as it stands. 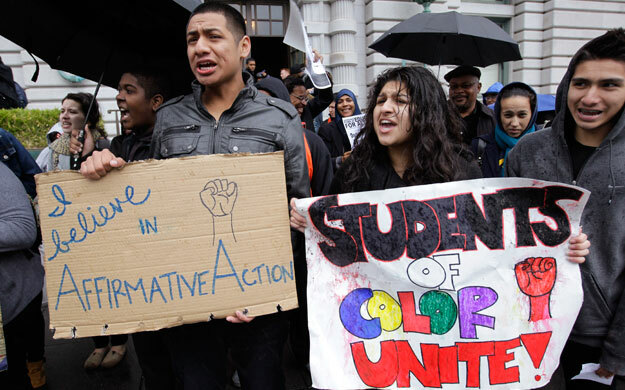 Although inclusive curricula aims to equalize the playing field and erode the system of racism and other isms, the fact that we even need this type of curricula will naturally marginalize the ethnic minorities as it attempts to address ethnic minorities while still being created in the context of the dominant culture. In other words, how can we truly be multicultural in a society which socializes its people to think of the dominant culture to be superior? It’s almost like putting a Band-Aid on cancer or painting over a totaled car. Multiculturalism lacks efficacy if media, politics, history books and any and every other form of mass communication subliminally tells ethnic minorities that they are “different” or “exotic,” i.e. alien from the rest. Until the playing field is really equal, I’m not sure how effective multicultural education can be since people come into a classroom carrying societies isms on their backs. Agreed! To my mind (and probably yours too, because: media), that’s why ‘education’ in the formal pedagogical sense isn’t sufficient to bring about structural change. Like, if whatever “multicultural curricula” says “this one ethnic/racial/gender/sexuality group is A-OK!” and is accompanied by however many variants of music/movies/dumb stand-up comedy poking constant, deadening fun at said group, the humanistic point that People are OK! is kind of lost. So I don’t know. ‘Multicultural education’ should encompass more ways of imparting information than teaching in a classroom or writing on a blog or singing a song. It has to be like a full-out all-angle attack that says YOU’RE OK (so stop scapegoating whatever social group that has less social capital for your own problems)! Anyway. Sometimes I think the answer is more people influencing more people to do stuff differently, over far too much time. Your discussion here is so key. While we can influence the more formal structure of American education, specifically public education, changes MUST be made within society at large in order to systematically recognize and accept cultural differences. In the media, white culture is dominant, and when other cultures are represented, there is also a tendency towards the facade of, “We are all the same because we are human.” I believe Rebecca’s point here is still so often the case: “… these additions often existed as side notes, in separate subsidiary categories or in tokenizing instances of a single remarkable Other cropping up amongst the larger swath of normal (white, straight, middle-class male) Americans.” And Lauren, this pretty much says it all for me: “Until the playing field is really equal, I’m not sure how effective multicultural education can be since people come into a classroom carrying societies isms on their backs.” Still so much to be done within all levels of society in order for true multicultural education to be a reality. Great discussion here, folks! In undergrad, I also attended Gallaudet, the college for the Deaf in DC, as well as volunteered at a high school for the Deaf in MN. Both schools operated from a bilingual-bicultural perspective, where both hearing/mainstream US culture is discussed and incorporated into the education, but so is Deaf culture. Both cultures were given equal worth in those schools, because students belonged to both cultures and it was impossible to separate out the two cultures and groups from each other. We frequently switched back and forth between talking about hearing culture and Deaf culture within a class discussion, comparing and contrasting the two and discussing other people’s experiences and how other cultures influence those experiences as well. I’m having a hard time pinning down my exact point with all this, but it’s something along the lines of that both hearing and Deaf cultures were frequently discussed, all the time, and integrated into the normal curriculum. The integration was normal to everyone and didn’t seem weird or forced like so often happens in classrooms, like when you set aside one day to talk about Black history month, or the native people indigenous to your state (thinking back to my 6th grade history class). The five dimensions of multicultural education are a noteworthy goal, too bad the current public school system is designed to obstruct progress towards an equity pedagogy and prejudice reduction. I love the discussion and the opinions of everyone. Every time we see that we are becoming a globalize world where there is almost any place where there is not a variety of cultures living together. The problem is when people assimilate the new culture to be part of it and start denying their origins. It is very important to be proud of our multicultural origins, so even the month celebrations that Elliot mentioned are not the ideal way to work multiculturalism is an start point to créate at least awareness. This is really great Rebecca! And to everyone else, I really enjoyed reading your comments and the discussion. I have a comment similar to Annalisa’s in that I think something could be added to the bullet points outlined at the end of the original post. While this could fall under the first one, I think more attention needs to be paid to cultural differences within research, as it is this research that helps us build our lessons and curricula. When I was working on the lit review for our cultural autobiography in 501 I was really surprised when I read that Asian-American culture is often neglected in research. But then once I started paying attention, I realized how true this is. Further, “Asian” in research often refers to a lumping of several different ethnicities – Indian, Japanese, Chinese, Afghan, etc. – each with their own specific cultures and histories. So that is something we have to be mindful of too, I guess (I sort of lost where I was going with that point haha).